Solid shaving soap handmade in Italy by Saponificio Varesino. Scented with top notes of Agar Wood (Oud). Solid shaving soap from Saponificio Varesino that is worked in a plodder, extruded and sliced by hand in Italy. The soap uses Saponificio Varesino’s ‘beta 4.1’ formulation, that produces a light shaving lather that requires minimal water. 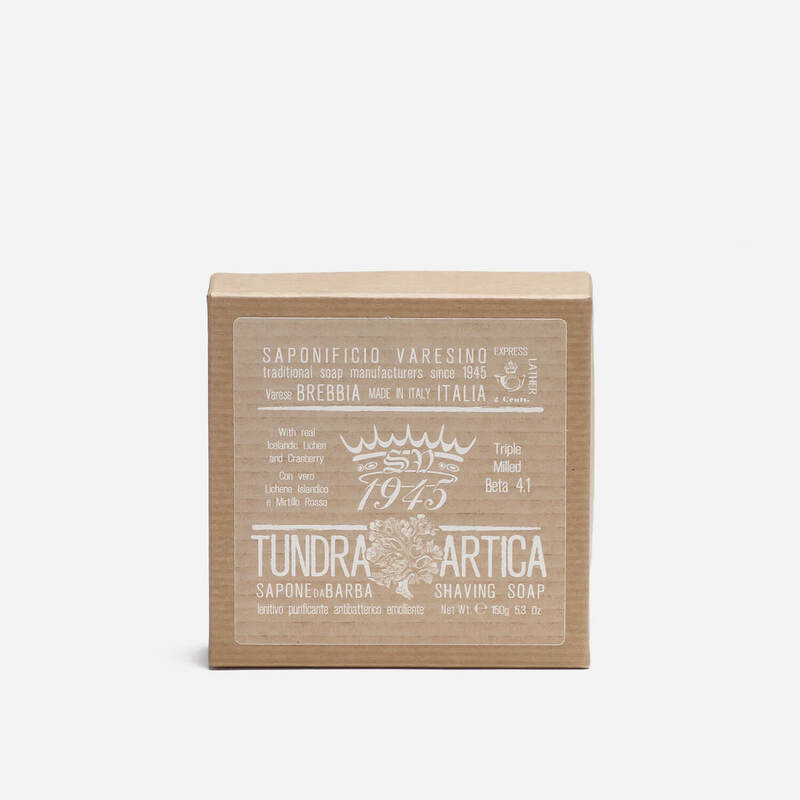 The Tundra Artica scent is a mix of Agar Wood (Oud), Cedar Wood, Tangerine, Cashmeran, Damascan Rose, Patchouli, Amber notes, Sandalwood and Leather. The soap is presented in a cardboard box with PET container which can be used to lather the soap. Excellent shaving soap,with a floral and woody sent. Lathering is laughably easy which provides a light and slick performance. Skin care is second to none.